The unique blend of these nine movement forms along with Nia's 52 moves (27 base moves, 7 core moves and 18 upper extremities moves), give the body an opportunity to experience movement variation that brings health and vitality to every body part, muscle group and joint. drug/alcohol and cardiac rehabilitation centers– to name a few! Everything in Nia is perceived, experienced and processed through the body. Nia uses the body to develop Sensory IQ wisdom. The mind is used to imagine, witness, focus and direct attention. The emotions are used to personally engage the individual with activity, thereby creating the coupling effect needed to trigger the mind-body connection. And Spirit is used to honor the uniqueness of each individual. Everything you are asked to do in a Nia class is based on The Body’s Way, which means using the body’s natural design to improve function. The biochemistry, joint and muscle action are triggered using imagination, music, emotion and vocal sound. 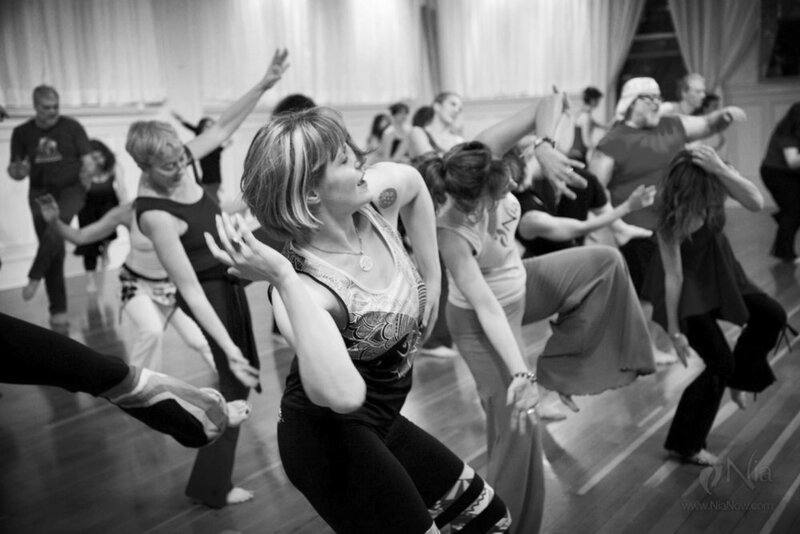 Nia classes address the body’s five main sensations: flexibility, agility, mobility, strength and stability, and focus on conditioning the body and the nervous system. 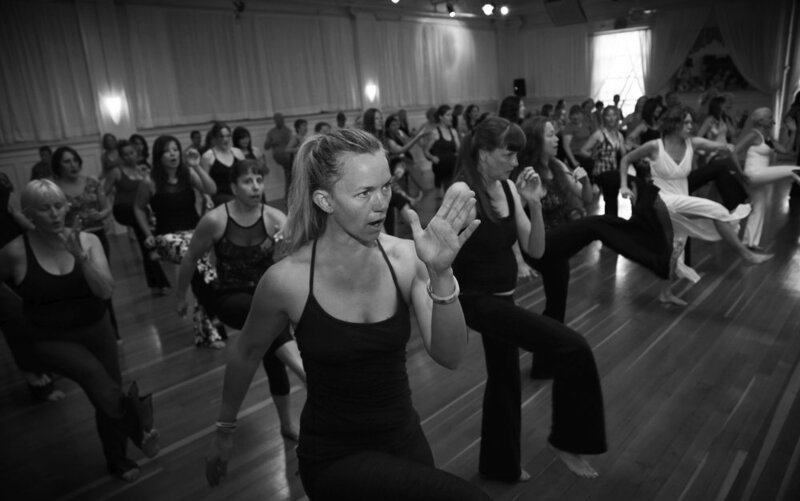 All Nia® classes are facilitated using three levels of intensity. What are some of the benefits of taking Nia?